“An astonishing number of people undergo deliverance from demonic forces every week, not only in the developing world but also in Britain and the United States,” write two university professors in a lengthy essay for the Catholic Herald. “Many had sought services from the state, such as psychological aid or medical care, which had failed them, before turning to the priest,” they note. The Catholic Herald report mirror the findings of a number of other such studies. Interest in exorcism has risen sharply in countries like Italy, keeping pace with what has been seen as a recent rise in “demonic activity.” As Breitbart News has reported, requests for exorcists in Italy has tripled in recent years, reaching an annual total of nearly a half million, and other countries have witnessed a similar increase. 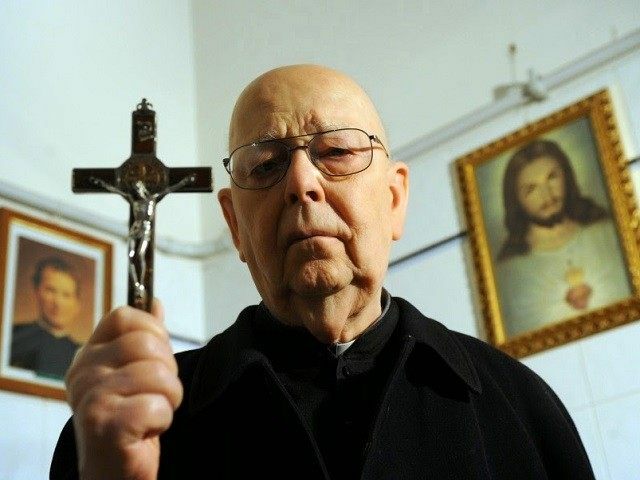 Sicilian exorcist Father Benigno Palilla told Vatican Radio in an interview last March that more and more Italians are engaging in occult activities, which often serve as a gateway to the demonic. Last April, hundreds of students, mostly Catholic priests, traveled to Rome to attend an annual Vatican course on exorcism. Some 250 people from 50 countries attended a week of lectures on issues relating to the devil and demonic activity, including how to distinguish between psychological afflictions and supernatural “vexation,” and how to combat Satan where he is present. Even more than his immediate predecessors, Pope Francis has underscored the “malign power” of Satan and the need to engage in spiritual warfare.